Spring has SPRUNG Y’ALL. I don’t know why I felt the need to say y’all but it just felt right. 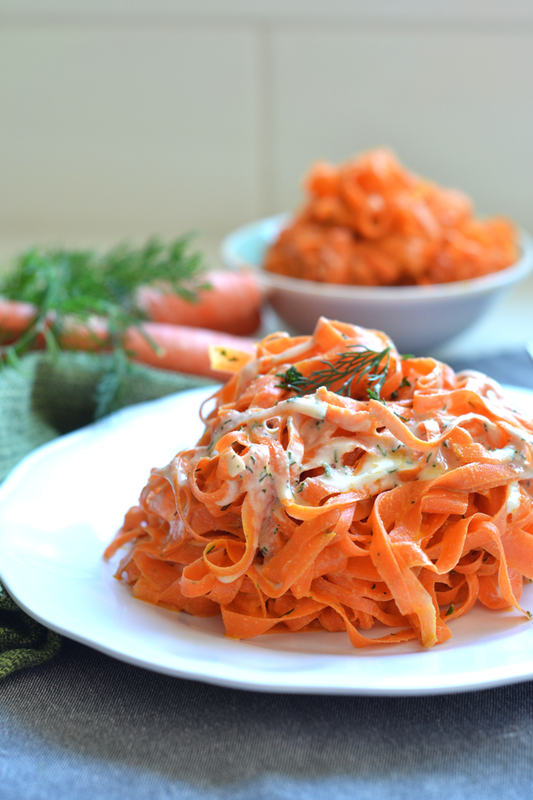 Spring to me = lots of veggies and lots of veggies = these Tahini Dill Carrot Noodles! Gearing up for the time around Easter I start to put carrots in everything. I think its the easter bunnies I start seeing all around or something! I had wanted to spiralize these carrots but even the large ones just weren’t quite wide enough to get any long strands of noodle! So I went the old fashioned way and made noodles by peeling carrots down to the end of them. Peeling can be very therapeutic, especially when it turns into these beautiful ribbons! This dish comes together super quickly but can even be made ahead of time if you keep the sauce and peeled carrots separate until you are ready to serve! I had this dish cold but even heated it up in the microwave the next day and it was pretty tasty warm too, whatever floats your boat. This is one of those dishes that I can see myself bringing over to family dinners or parties throughout the spring and summer because it is so fresh and vibrant – perfect for warm nights! Speaking of warm nights, I am SO EXCITED for them! We are starting to work on our yard and will be getting outdoor furniture soon which will really bring the place to life. I love eating outside when it is nice, there is nothing like it! Matt and I have been eyeing a set from target for a few weeks and it will be a beautiful day when that comes together! 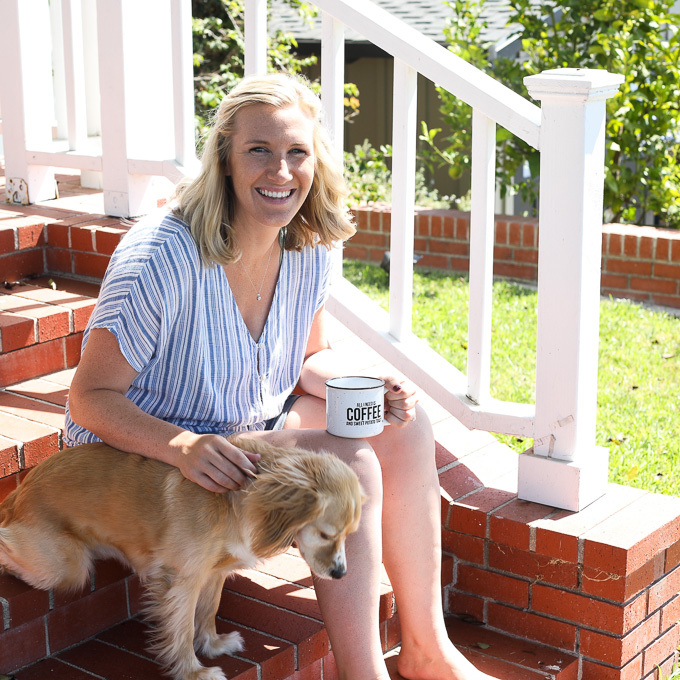 Be sure to follow me on instagram if you don’t already because I will be sharing updates on the yard progress there. 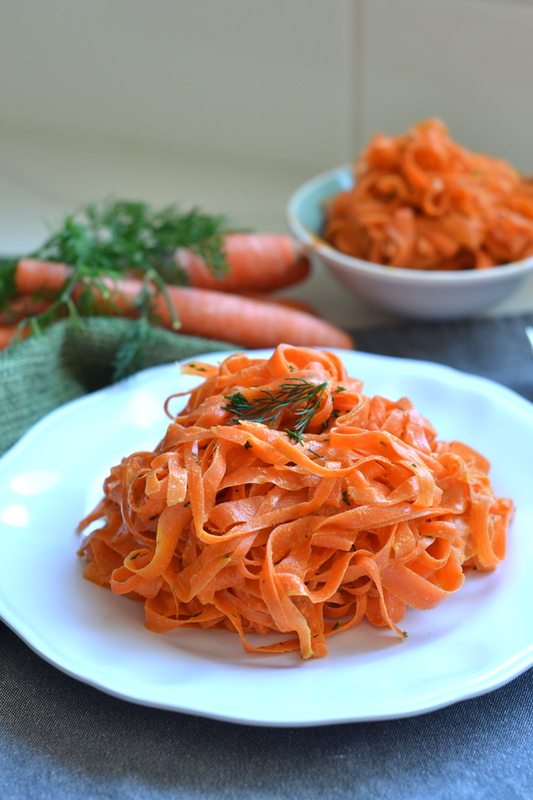 Okay back to these tahini dill carrot noodles! 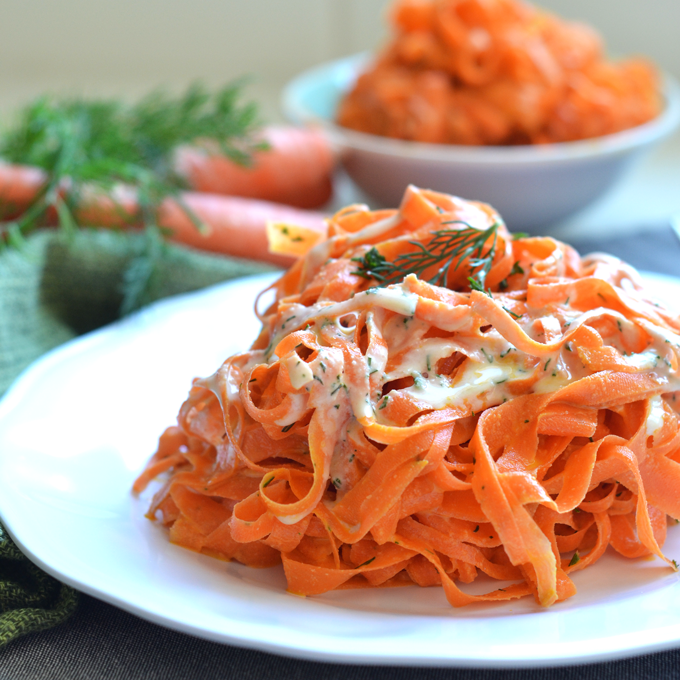 Pin this Tahini Dill Carrot Noodles recipe to save for later! Peel your carrots continuously until it becomes hard to get any more out of them, and throw away (or snack on) the scraps. Place the carrot ribbons into a large bowl and set aside. In a small bowl combine tahini, dill, lemon juice, water, garlic powder and salt. 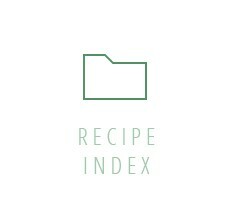 You want the sauce to be able to be drizzled, not to thick, not too thin! You may have to adjust your water depending on how thick the tahini is. Pour about half the sauce over the noodles and toss to combine. You can add more if you want it thicker but I found half was enough! Then garnish with lemon zest and serve. I’m new to “tahini”. What do you actually buy or do you make it yourself? I’ve never had it. I always thought it was an exotic destination…..jk! Oh it is just ground sesame seeds! 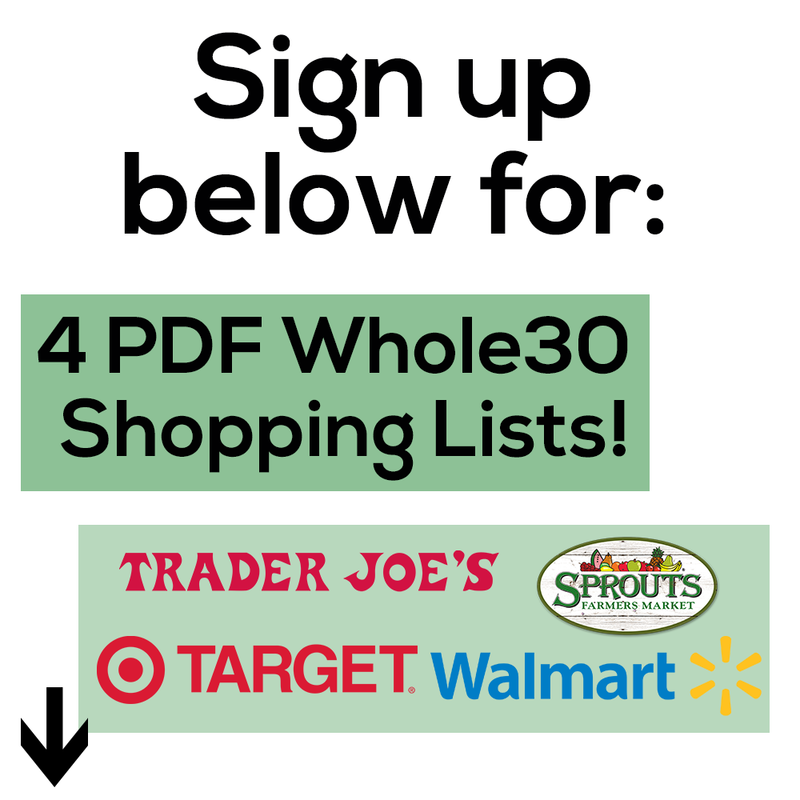 It is usually sold in stores near the nut butters!! enjoy!! I want to serve this in a couple of weeks, but I want it warm. How do I go about cooking the carrots to the proper texture? Not sure but you could probably just warm it up in a pan!! This sounds delicious! I definitely want to make this at home. 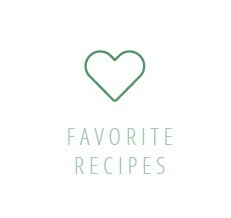 I love that you added dill to the recipe, it is really a great herb and adds wonderful flavor to any dish. So excited to try this! Thank you!